Phew, a plethora of OEM announcements today. The buzz surrounding Toshiba’s new flash memory that could lead to a 64GB iPhone carried us through the morning until Intel announced powerful new Xeon chips for servers. Topping it all off was the discovery that some OCZ solid state drives exhibit incorrect capacities because the manufacturer didn’t take into account that blocks of system data will be duplicated on the higher-density dies used on certain models. But first things first…. Toshiba announced next-gen flash memory called SmartNAND that could be a prime candidate for future iOS gadgets. The silicon is manufactured on the 24-nanometer process and sports a control chip that removes the burden of error correction code from the CPU, speeding up the read and write process. Offered in a variety of capacities from 4GB all the way up to 64GB and available in volume from Q2 2011, these chips are a natural fit for new iPhones, iPods and iPads. Toshiba is a long-standing supplier of NAND flash for Apple and their memory chips are found inside iPad 2 and fourth-generation iPod touch. That said, a 64GB iPhone 5 should be a no-brainer. Second, Intel debuted a new lineup of Xeon chips for servers that top out at ten processing cores per chip. That’s a pretty substantial step up knowing that flagship Mac Pro has “only” six processing cores per chip. The new E7 family offers a 40 percent speed boost over the previous generation, Intel claims. The silicon is manufactured on a 32-nanometer process, it includes up to 30MB of L3 cache and supports up to 4TB of DD3 memory. Clock frequencies range from 1.73GHz to up to 2.67GHz. The chips come in three flavors: The E7-2800, E7-4800 and E7-8800. Available in four, six, eight or ten core variants with up to twenty threads using Hyper Threading, these processors are meant for datacenters and cloud computing rather than your home office server or a desktop. Maybe Apple is going to order them for their $1 billion North Caroline datacenter set to go live some time in Spring? Also worth noting, Hardmac this morning reported that Intel will be launching low-powered variant of their Sandy Bridge processors by the end of this semester. The publication speculated that the flagship dual-core 1.6GHz Core i7 2657M could find its way into the MacBook Air, putting the ultrathin notebook on par with the 13-inch MacBook Pro. The new chips will consume 17 Watts of power and sport a Thunderbolt port. This affects only the folks who’ve purchased certain 32 nanometer or 25 nanometer 64Gbit drives on or after January 15, 2011, namely 2.5-inch and 3.5-inch drives in 60GB and 120GB capacities. 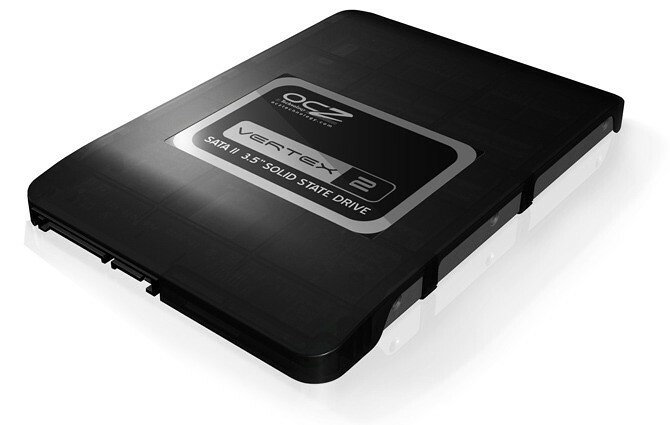 To check if your drive is affected, download and run OCZ’s software toolbox version 2.33 and run it on the drives. If your drive is affected (that is, uses 64Gbit chips), you’re eligible for a free trade in program where OCZ takes your 60GB or 120GB unit and replaces it with the more expensive 32 Gbit die‐based drives. More information about the program and this whole ordeal is available at the OCZ forum.